Google took the covers off of its Cardboard VR platform a year ago at I/O 2014 and now, 12 months later, the platform has seen its first major update. The company revealed the all-new Cardboard design at I/0 2015; with a new three-step assembly procedure, a better control button and support for bigger smartphones - up to 6-inches. 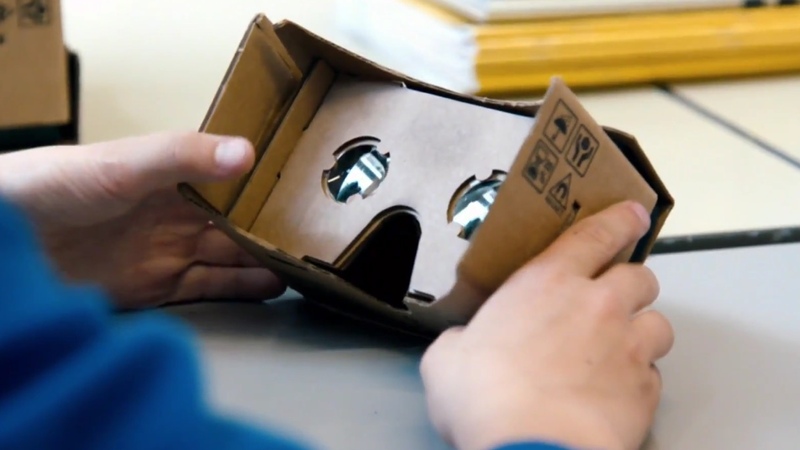 In case you're not familiar - Cardboard consists of a low-cost, DIY virtual reality headset that anyone can build, and a software platform that makes it incredibly easy for app developers to add VR support to their creations. The company gave away the new design to devs at the San Francisco conference, but expect third parties to offer up cheap versions soon. Interestingly, Google also opened up the platform to iOS developers as well. The Big G also used the I/0 2015 keynote to detail Expeditions - its new, school-focused, initiative whereby teachers can take their pupils "on field trips to anywhere in the world". An Expeditions package includes a tablet for the teacher to control the immersive sessions, and a box of pre-built Cardboard headsets for the pupils to wear. Google has already lined up some pretty high profile partnerships, such as the Planetary Society and the American Museum of Natural History to create the educational VR experiences. The final big VR announcement was that of Jump - Google's new platform making it easier for developers to create VR videos. Like Cardboard, Google is offering up the blue-prints of a standard design, this time for a rig of 16 cameras, that can be 3D-printed, folded, moulded etc; that is used to create the 360 degree video experiences. The company claims any 16 "off the shelf" cameras will work in the rig but also announced an exciting new partnership with GoPro, who will be setting up pre-set parameters and settings for its devices to make the process easier. VR videos will be available using the standard YouTube app "this summer".